As expected, Xiaomi has announced their latest flagship smartphone Mi 8 at an event in China. Alongside Mi 8 Xiaomi has also announced Mi 8 Explorer Edition which comes with some premium features. Let’s check out the specs of these devices. 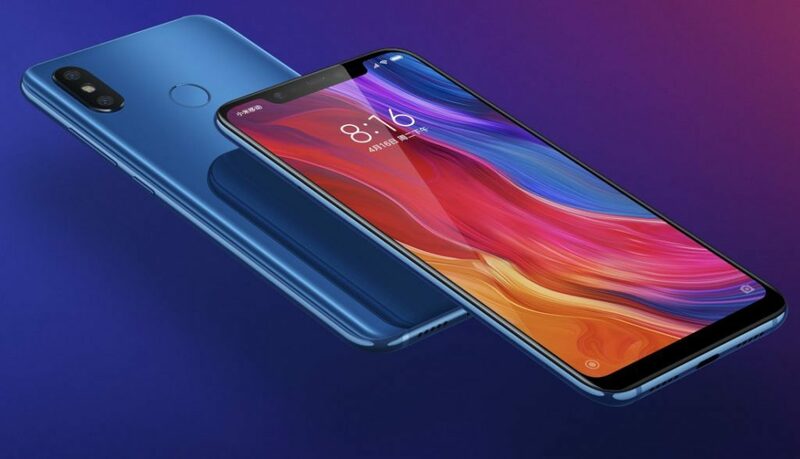 Xiaomi Mi 8 comes with a 6.21-inch FHD+ AMOLED display with 2248 × 1080 pixels resolution, 600 nits brightness, 18:7:9 aspect ratio. The display is made by Samsung and on the top of the display, it has a notch which is first for any Xiaomi smartphone. The back side of the device is made out of glass and comes with unique water drop arc design. While the body is made of 7 series aluminum frame. 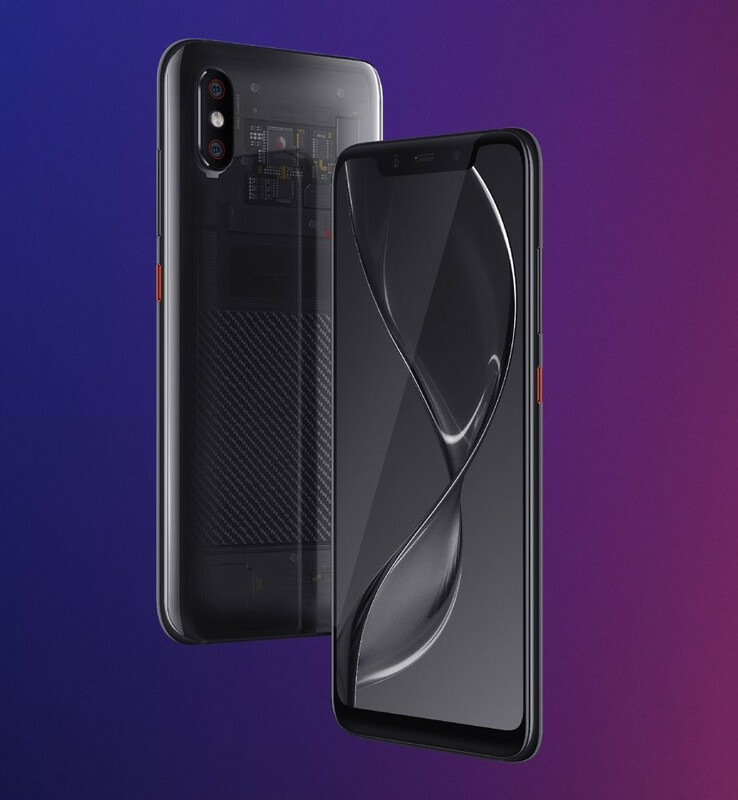 Xiaomi Mi 8 is powered by 2.8GHz Octa-Core Snapdragon 845 processor with Adreno 630 GPU with 6GB LPDDR4x RAM. The internal storage comes in 64GB / 128GB / 256GB variants with no external storage support. Out of the box, the device runs on Android 8.1 Oreo with MIUI 9 on top. Later the device can be upgraded to MIUI 10. Coming to the photography department, Xiaomi Mi 8 features dual camera at the back. The primary rear camera is a Sony IMX363 12MP snapper which comes with 26mm wide-angle lens, f/1.8 aperture, Optical zoom, 4-axis OIS, Dual Pixel. The secondary rear camera is a 12MP snapper and it comes with Samsung S5K3M3 sensor, f/2.4 aperture, 2X zoom. On the front, Mi 8 has a 20MP camera which can capture portraits in real-time using AI. The phone also comes with face unlock feature which uses an infrared sensor and a lens to scan 4096 facial points even in dark. The company has also said that Mi 8 has scored 105 in DxO Mark for photo and 99 overall. Mi 8 comes with Dual SIM with Dual 4G VoLTE support. It also has Dual-frequency GPS, Bluetooth 5, USB Type-C, and NFC. The device has a round shaped fingerprint sensor at the back. Mi 8 sips its juice from a 3400mAh battery which supports QuickCharge 4.0+ for fast charging. 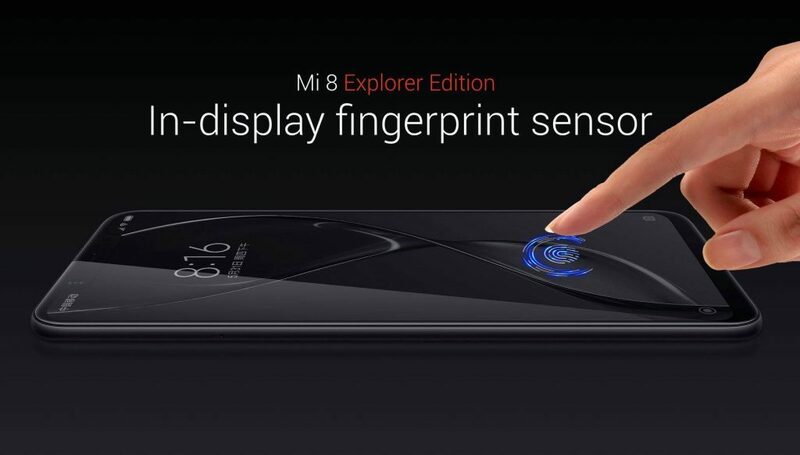 Mi 8 Explorer Edition is the premium variant of Mi 8. The device comes with 8GB LPDDR4x RAM with 256GB storage support. It also has the in-display fingerprint sensor and 3D face recognition technology. The advanced structured lighting tech captures 33,000 facial points to unlock the phone. Also, the back panel of the phone is transparent. Mi 8 Explorer Edition sips its juice from a 3000mAh with Quick Charge 4+ support. 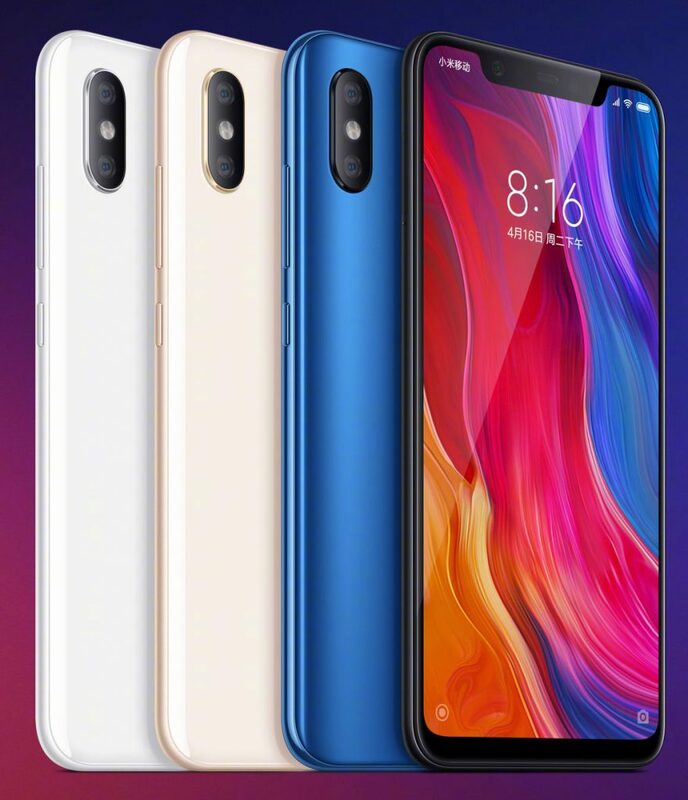 Xiaomi Mi 8 comes in black, Blue, Gold and White colors. Both the devices will be available in China from 5th June.